The UCLA Department of Public Policy offers the Master of Public Policy (MPP). MPP students can pursue interdisciplinary Global Public Affairs and Leaders in Sustainability certificate programs. Joint degrees with Law, Management, Public Health, Medicine, and Social Welfare offer an even broader range of skill and expertise development. An undergraduate Minor in Public Affairs is also available. We take people who are passionate about making a difference in the world and give them the tools they need to do so. Our master’s program combines the best of rigorous policy education with a flexibility and responsiveness that enables us to remain relevant in a rapidly changing world. A career in public service is no longer limited to working in government. By giving students a diversified tool kit of quantitative and analytical skills and the flexibility to design their own program of study— while drawing on all the resources of one of the world’s top research universities — we produce graduates who are equipped to become real leaders in policy making, wherever that process takes place. Study Public Policy at Luskin. Training and experience that prepares one to transform the world to come. Our Master of Public Policy is a two-year program focused on problem identification, policy analysis, and policy influence. It seeks to enhance the range of ideas and knowledge about how to address public problems and improve the skills of those who deal with them professionally. Candidates conduct research directed to public issues, inform public policy professionals, and partner with public servants and the community to solve public problems. Graduate students in the Global Public Affairs program pursue research, study, and collaborate with scholars and leaders in public policy from a global perspective. Four certificate programs allow students to explore deeper specializations in Global Environment and Resources, Global Health and Social Services, Global Processes and Institutions, and Global Urbanization and Regional Development. Concurrent Degree Programs offer joint graduate degrees in law, management, medicine, public health, and social welfare. Visitor Programs attract visiting faculty, scholars, and students from partner institutions abroad. The Undergraduate Minor in Public Affairs complements a liberal arts or science major through a systematic examination of a broad range of public policy issues, mainly through the analysis of specific social, political and economic problems. 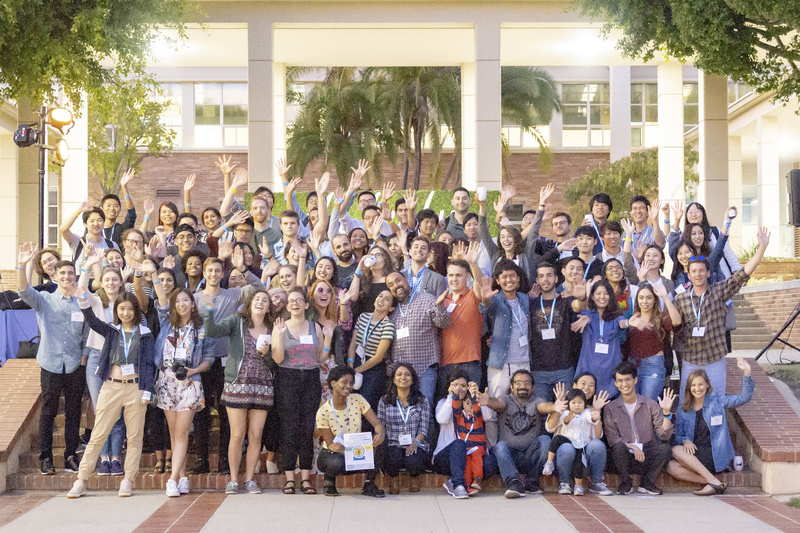 Why Get Your MPP at UCLA? The full-time faculty members in the MPP program are extraordinary scholars in the applied social sciences, bringing a broad multidisciplinary and advanced analytical approach to their research in policy areas such as education, environment and sustainability, health and health care, international development, urban development, poverty and inequality, and more. They earned doctorates from the nation’s top universities, such as Harvard, Michigan, MIT, Northwestern, NYU, Princeton and Stanford, as well as other University of California institutions like UC Berkeley and UC San Diego. The faculty also bring to bear their experiences shaping policy from Los Angeles to the nation’s capital, supplemented by practitioners like former presidential nominee and governor Michael Dukakis and Los Angeles political mainstay Zev Yaroslavsky. Rounding out the program are UCLA faculty members with joint appointments in fields such as medicine, public health, management and social welfare. The MPP provides the necessary training to succeed in policy and leadership positions in any setting without sacrificing the flexibility to craft a portfolio that suits your analytical and substantive needs. Learn to model policy problems. Conduct sophisticated quantitative analyses. Engage in effective strategic action in complex policy-making systems and organizations. Then wrap it all together with an Applied Policy Project in a real world setting in partnership with client agencies, nonprofit organizations, and firms working in the public interest. With 60-70 students per entering MPP cohort, the program is small enough to build a potent sense of community among students and faculty, yet large enough to encompass a wide range of personal and professional backgrounds — both domestic and international. Learn among peers with diverse backgrounds and a vast array of policy interests. Network with alumni who work locally and throughout California, the nation, and abroad. Take advantage of the support for MPP students that totals roughly a half million dollars a year in fellowships, as well as teaching and research assistant opportunities available to all admitted students, regardless of immigration status. UCLA is one of a handful of universities in the country with public policy programs that are also comprehensive campuses. UCLA has all the social sciences and schools of medicine, public health, management, law, education and engineering — all of which are ranked in or close to the top 15 nationwide. Because UCLA has the smallest geographical footprint of any University of California campus, all are in easy reach. MPP students routinely enroll in courses and work with faculty across the campus who are leaders in their fields. Come to Luskin, and you have arrived at one of the most influential research universities on earth. A number of formal rankings of universities and their impact have placed UCLA 8th, 12th, and 18th in the world. Domestically, UCLA has placed as the best public university in the United States. Endowed by Meyer and Renee Luskin in 2011, the intellectual scope, resources, and activities of the Luskin School provide an exciting home for the Department of Public Policy and its MPP program. With the Department of Social Welfare and the Department of Urban Planning, our students can access even more faculty expertise, courses, and networks in social policy, from macro analysis to individual-level service delivery, and enjoy analytical entrée to all of the elements of the “built environment” and its impact on communities and individuals. The Senior Fellows program, part of the Leadership Development Program, brings the real world of elected officials, policy makers, service providers, and advocacy organizations to the Luskin School community, and links our students to mentors who can help inform their policy work and career paths. Additionally, three endowed research centers work at the forefront of issues of central concern to our students, serving as sources of seminars, grants, and employment. There are also centers associated with Luskin in specific policy domains, as well as many others across campus with which our faculty and students are affiliated. The team in Career Services provides a wide range of services to promote career readiness core competencies, prepare students for the employment market, and link them to internship and job opportunities. Studying policy issues in California is different from being in any other state. With almost 40 million people, it is the largest state in the United States, filled with a diverse range of people from a variety of backgrounds. By the standard measures it has the most professional legislature among the states and a state budget not far from twice that of New York, the next largest. In many respects, California is really like its own country, with more people than Canada and a GDP that would place it 6th among nations in the world, comparable to France. One can study for an MPP degree in academic isolation, or do so right in the heart of the national and global policy experience. There is no better policy laboratory than sunny Los Angeles, where average monthly high temperatures that range between 68 and 84 degrees have helped swell the county’s population to a total bigger than all but eight states in the U.S. By 2010, the county had already matched the projected demographics of the United States in 2050 — a minority-majority population with two thirds of people being Latino/a, African American or Asian. The Luskin School is just 12 miles from the epicenter of Los Angeles city and county governments, and close to the nearly 90 other cities in the county. Our MPP students witness up close the dynamics of policy. There is hardly a policy dilemma that does not show its face in the L.A. region that can afford lessons for solving problems here, across the nation, and around the globe. Professionals of all kinds – some of whom are years into their careers and others who are relatively fresh out of their undergraduate studies – come to study at UCLA from across the nation and around the world. Undergraduate majors include social science fields such as anthropology, economics, history, political science, psychology, and sociology, but the MPP program also welcomes a wide range of Liberal Arts majors from areas like philosophy, English, comparative literature, foreign languages and even the classics. Also represented are those with degrees in astrophysics, biology, chemistry, computer science, and statistics. U.S. State Department Foreign Service and international NGO’s like World Vision, Relief International, and Chemonics Inc. Some of our graduates have run for and held elective office. In short, at UCLA we prepare you to take on the world. The Office of Career Services and Alumni Relations, the Leadership Development Program, the Senior Fellows Program that connects students to current practitioner mentors, the Luskin Lecture Series that brings prominent social and political figures to campus, and Global Public Affairs with its international certificate programs are initiatives organized and supported by the Dean’s Office. Together they enrich the intellectual, analytical, professional, and networking experiences, alongside practical skills training, for our MPP students.